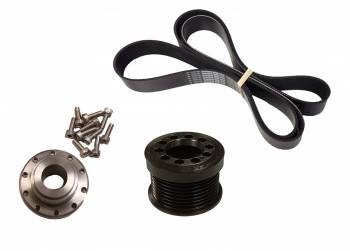 This kit includes the Lingenfelter 2.55 pulley, 10 bolt hub and correct length belt to use with the stock harmonic balancer to upgrade your LSA Cadillac CTS-V or ZL1 Camaro. This with the addition of a high flow air intake and 160 degree thermostat will make around 630 crank Horsepower. - 82180 Permatex Ultra Black Gasket Maker 3.35 oz.